Go head to toe chic in this show-stopping skirt. 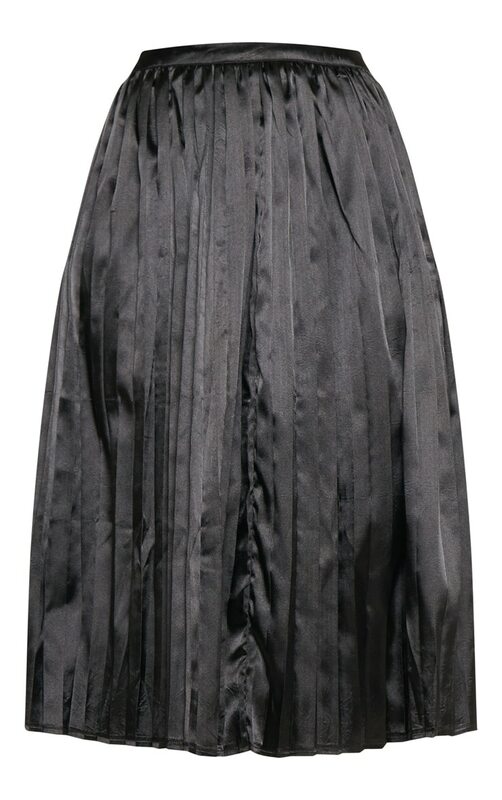 Featuring a black satin material, pleated design and in a midi length. Team with a one shoulder bodysuit and strappy heels for a weekend worthy look.